Few places lavish the luxury of extreme serenity and spiritual bliss just upon setting foot into it the way the Kiri Vehera temple in Kataragama does. While it is the Hindu Kataragama, with its myriad and colourful rituals and renowned deity that has captured the imagination of pilgrims' world over, the more quietly ethereal Kiri Vehera, in its virgin whiteness, has a charm beyond the clash of colour and life that is so much a part of the venerable holy city. The 95 ft. tall Kiri Vehera has a circumference of 280 feet. It is milky white in colour, hence the name. It is situated near the well known Menik Ganga. There are many theories on the origin of the dagoba. Some believe it was built by Parakramabahu the Great of Polonnaruwa during the Third Century BC, on the request of Queen Subadra. Some think that it was first built by a local ruler named Mahasena on a site made hallowed by the Buddha's visit. Some believe that the vihara was originally known as Magul Maha Seya and although there are no clues as to who built it, the bricks used in the construction bear Brahmin inscriptions which point to King Mahanaga's reign during the Third Century BC. Some records even date it to the first century BC. 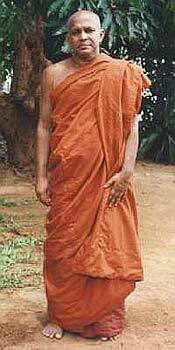 The Buddha is believed to have paid a visit to Kataragama during His third visit to Sri Lanka. The Kiri Vehera is said to enshrine the golden seat the Buddha sat on during His sermon, a lock of His hair and the royal sword — magul kaduwa with which Prince Siddhartha cut off His hair at the Great Renunciation. 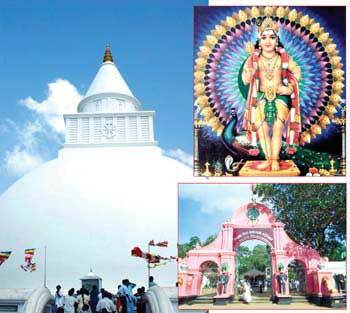 One beautiful story states that the God Skanda (Kataragama) shot an arrow from the Vedihitikanda (peak) vowing that where the arrow hit, there a temple would be built. The place is also linked to the reign of Dappula I, Vijayabahu I and Kavantissa, the father of King Dutugemunu and Saddhatissa. However, the Kiri Vehera went into ruin with jungles covering much of the area after the Chola invasions of Polonnaruwa in the 12th century. A renovation programme was carried out at Kiri Vehera in 1912 and again in 1970. While the Dalada Perahera ranks on top, the Kataragama festival is extremely important amongst the country's social and cultural events – possibly because it amalgamates all races and religions to one spot. The predominantly Hindu festival, conducted during July-August, contains some novel features such as kavadi dancers and fire walkers. It ends with a glittering perahera where elephants, chieftains, drummers and up country and low country dancers play a leading role. All Buddhists pay a visit to Kiri Vehera after the festival, and in most cases, before as well. According to Ven. 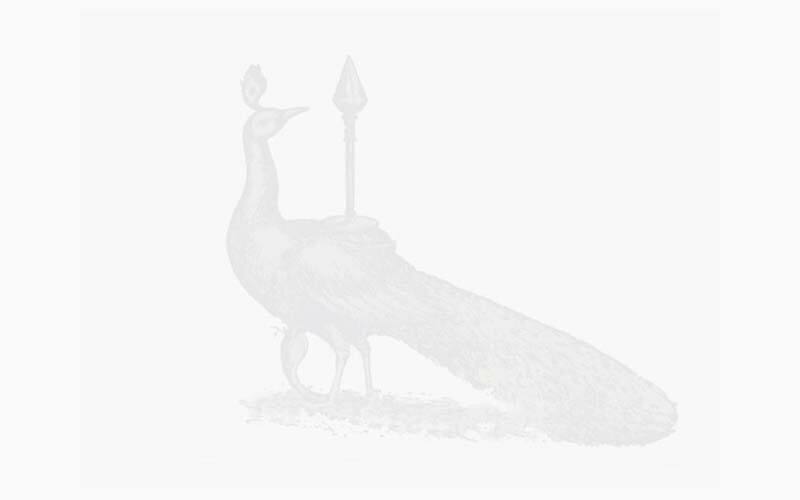 Soratha Thero of the Kataragama Kiri Vehera Devalaya Lord Buddha visited 16 places in Sri Lanka including Kataragama, and was graciously welcomed by the local ruler Mahasena or Mahagosha, who later became a disciple. Legend has it that Mahasena, having taken refuge in the triple gem, vowed to remain and protect Buddhism in Sri Lanka. Many Buddhists believe that God Kataragama is a Bodhisattva (one aspiring to be a Buddha) who has the power and compassion to intervene in the lives of those who appeal to him. While some scholars are of the opinion that God Kataragama was a local chieftain who was later elevated to the status of a deva, others proclaim Mahasena is still alive and rules to this day. Local folklore aside though, the belief in the god and the reverence for the Kiri Vehera are deeply ingrained in the hearts of the people of Sri Lanka, and the deity and place of worship are one of the first things that come to mind in times of strife. 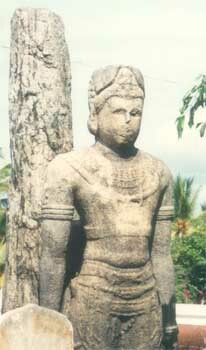 God Skanda is said to be one of the four deities guarding the Sinhala pantheon – though he is originally a vedic god. If ever there was proof that the so-called Sinhala and Hindu cultures are intricately and inextricably interwoven, Kataragama perhaps above anything else, stands for it. Tamil Sangam Literature (200 BCE to 500 CE) mentions Murugu as a nature spirit worshipped with animal sacrifices and associated with a non-Brahmanical priest known as a Velan , a name later used to refer to the deity himself. The worship of Murugu often occurred in the woods or in an open field, with no particular associated structure. The rituals practised included the veriyāttu, a form of ritual-trance-dancing, which is still a common part of Murugan worship in Tamil Nadu, Kerala and Malaysia. Murugu was believed to hold power over the chaotic and could be appeased by sacrifices and veriyāttu to bring order and prosperity. The earlier version of Murugu underwent a radical transformation after assimilation into Brahmanical Hinduism. The Tamil version of Skanda Purana,called Kanda Purānam, was written by Kacchiappa Sivachariyar (1350-1420 AD) of Kumara Kottam in the city of Kanchipuram. He was a scholar in Tamil and Sanskrit literature, and a votary of the Shaiva Siddhanta philosophy. According to legend, Kachiappa Sivachariyar would leave each day's compositions in the sanctum sanctorum or mūlasthānam of the Murugan shrine at Kumara Kottam, to find it returned in the morning with corrections, presumed to be made by the deity himself. Hence, the Kanda Purānam is widely considered to be an authoritative account of Murugan. In the Kanda Puranam, Karttikeya is the destroyer of Taraka and also of his elder and more powerful demonic brothers, Soorapadman and Simha-mukhan. Shiva let out a stream of fire from his third eye on his forehead, that split into six streams. Each landed as a baby on a lotus in a lake called Saravana Poigai. Apart from the festival of Karttikai, the Thai Pusam festival, celebrated by Tamil communities worldwide, commemorates the day he was given a Vel or lance by his mother in order to vanquish the demons.